Abraham Ruben’s elaborate soapstone carvings and bronze sculptures have graced galleries and museums across Canada and around the world — including the Smithsonian in Washington. 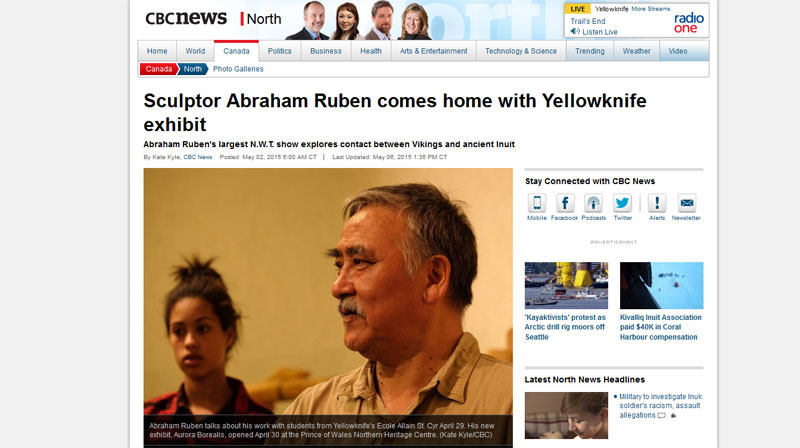 Now the artist and his work have returned to the Northwest Territories. His new exhibit, Aurora Borealis, opened April 30 at the Prince of Wales Northern Heritage Centre in Yellowknife.